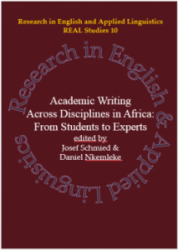 The Centre of African-German Network for Academic Writing Excellence in the Humanities (AGNETA) is a platform for mentoring junior scientists in view of preparing them for successful Humboldt applications. AGNETA works with PhD students and PhD holders, who are looking forward for post-doctoral opportunities in Germany in the following areas: languages & general linguistics, literatures, philosophy, history, law, film and theatre etc. share academic materials such as journals articles, books etc. AGNETA links scholars and junior scientists from universities in five African countries (Cameroon, Nigeria, Ghana, Kenya and Tanzania), but not limited to them; and the Chemnitz University of Technology in Germany. 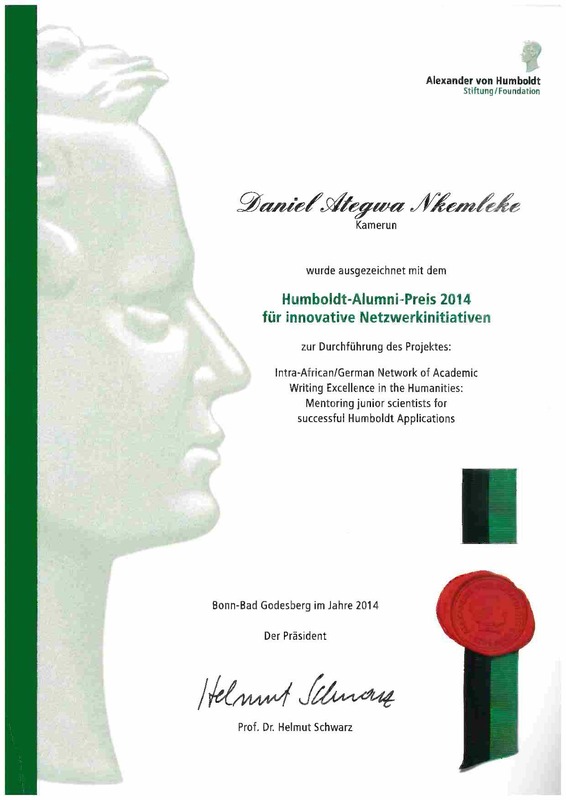 Dr. Daniel A. Nkemleke, Director of the Centre was awarded one of the three prizes for the Humboldt Alumni Network Initiative for 2014 in a colourful ceremony in Berlin, June 4, 2014. A Humboldt-Symposium was organized in the Chemnitz University of Technology on June 6, 2014 by the Department of English Language & Linguistics to honor the prize ( http://www.tu-chemnitz.de/phil/english/ling/CultLangConference2014.php). A key note paper was presented by Prof. Dr. Harald Clahsen, who is Humboldt Professor and currently heads the Potsdam Research Institute for Multilingualism (PRIM). Also in attendance were 04 other Humboldt scholars working in and around Chemnitz. 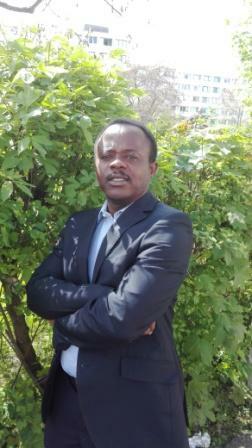 Two junior scientists in the network have successfully defended their PhD theses: one in Nigeria (Dr Obiageli Nnamani, Enugu State University) and the other in Cameroon (Dr Layi Butake, University of Yaoundé 1).